In Steinweiss. The Inventor of the Modern Album Cover, Taschen takes a look at the works of Alex Steinweiss, prolific artist and father of the modern album cover. In 1940, as Columbia Records’ young new art director, Steinweiss pitched an idea: Why not replace the standard plain brown wrapper with an eye-catching illustration? The company took a chance, and within months its record sales increased by over 800 per cent. 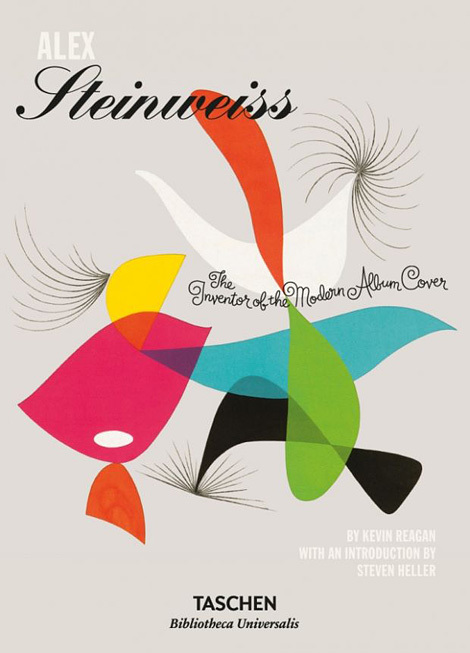 Over the next three decades, Steinweiss made thousands of original artworks for classical, jazz, and popular record covers for Columbia, Decca, London, and Everest; as well as logos, labels, advertising material, even his own typeface, the Steinweiss Scrawl.